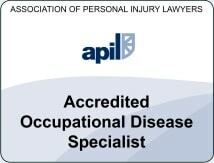 Am I able to make a claim for an asbestos disease? If you have been diagnosed with Asbestosis, Mesothelioma, Asbestos Related Lung Cancer or Pleural thickening in the last 3 years, you may be able to make a claim for compensation. If you are claiming on behalf of a relative who died from Mesothelioma, you have 3 years from the date your relative passed away. Can I claim for pleural plaques, asbestos scarring or asbestos damage to the lungs? You cannot currently claim for compensation for the above if asbestos exposure occurred in England or Wales. Recent legislation has been passed in the Scottish and N. Irish parliaments so that if exposure to asbestos occurred in Scotland or N. Ireland you can claim compensation. The English Parliament may well review its position on this in the near future. What if the diagnosis was more than 3 years ago? For asbestos related claims, much depends upon the date that your symptoms started or the date you realised that you could make a claim. It may be that you had asbestos scarring or pleural plaques more than 3 years ago and you now have asbestosis. 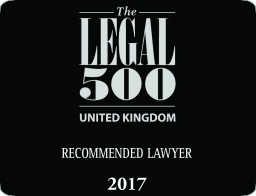 Our Solicitors have successfully represented claimants upto 10 years after the initial diagnosis. How long do asbestos claims take to settle? Every case is different; some of the more straight forward cases can take between 6-12 months. A recent case was settled in just over 2 months although this is unusual. More complex cases are likely to take longer, especially when the asbestos exposure took place 30 or more years ago. Certain companies have had many asbestos related claims against them - gas and electricity board for example - they are more likely to settle the claim quickly. Our asbestos solicitors will always strive to settle your claim as quickly and efficiently as possible. How much compensation can I expect to receive for an asbestos claim? Again - every case is different. Mesothelioma victims may receive in excess of £1 million, sometimes more. It very much depends on the severity of the disease, the level of exposure, the existence of the companies where the exposure took place and the age of the claimant. Our solicitors will be able to provide a more accurate estimate. We recognise of course that the compensation awarded is little more than a crumb of comfort to the victims and their families. Do asbestos cases often go to court? It is highly unlikely that asbestos cases end up in court, the vast majority settle at an early stage. Will I need to meet your solicitors? Our solicitors will travel to meet you where ever you are in the UK and (within reason) outside of the UK. This is optional - asbestos related cases can be dealt with via post, telephone and email on a confidential basis and at times to suit yourself. What if the companies where asbestos exposure took place no longer exist? There is no limit to the number of companies you can claim against. 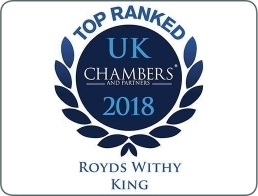 Our solicitors have access to several databases (other than Companies House) and will be able to run a thorough trace on each company to determine its current status. It may be that the insurance company can be traced or that the company was taken over or has changed names. Occasionally it may be possible to bring companies back on the companies register. If there is an element of doubt, it is probably worth a 5 minute phone call for your piece of mind. Sometimes we do draw a complete blank, under these circumstances you should still be able to claim from the government (Pneumoconiosis Act 1979). We will be able to provide you with the contact details of the department that runs the scheme. What if the exposure to asbestos took place in the navy, army or air force? Unfortunately, The Crown is exempt from prosecution prior to 1987, so if you were in the armed forces and exposed to asbestos before 1987, we will be unable to assist you. However, you should still be able to get some compensation from the government. No. There are no fees or expenses at any stage of the claims process, nor is any money deducted from the final settlement - i.e. you will keep 100% of the compensation that may be awarded. How are the solicitors paid? Our solicitors recover their costs from the insurance companies of the companies where the exposure to asbestos took place. Contact us by telephoning free on 0800 923 0046, requesting a call back or filling out the online claim form. If you are contacting us by phone, ask to speak to either Warren Miller or Kathy Cooke. It would help if you could have a brief summary of your work history to hand. We recognise that you may be going back several years and may not recall specific dates - at this stage that is not too important, we only require a few basic details to assess your claim.